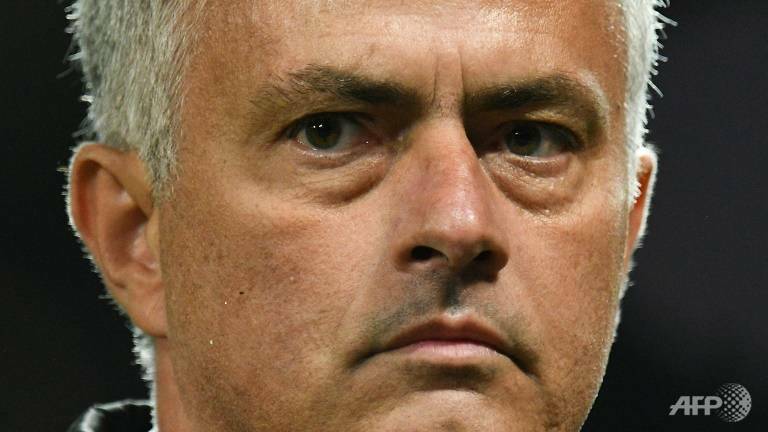 Jose Mourinho takes his Manchester United side to high-flying Watford on Saturday knowing they cannot afford another slip-up if they are to stay on the coattails of the Premier League pacesetters. A 2-0 victory against struggling Burnley followed by an international break has taken the heat off the Portuguese manager as he tries to inject momentum into a stuttering start to the season. Defeat at Watford - who have won all four of their games - would leave United nine points off the lead and their title ambitions in tatters midway through September. Former United and England defender Gary Neville hopes his old club can still mount a challenge to Chelsea, Manchester City and Liverpool despite two defeats in four matches. "If they can stay in it until January and maybe get one or two defenders in, they may have a chance, but I doubt it," he told the Times newspaper. "I think United will be third or fourth." Neville insisted it is far too early to write Mourinho off despite his early-season struggles, which have given rise to the suspicion he is yesterday's man. "I think Jose is a brilliant manager, and, in a 25-year career, young managers will emerge, people will ask questions if you aren't successful," he added. "He's having a more difficult time, but finished? I genuinely think that's a nonsense." Mourinho's tasks in solving a rift with World Cup-winning midfielder Paul Pogba and his side's defensive frailties have not gone away in the international break, even if some of his stars showed the richness of the resources at his disposal with their countries. Romelu Lukaku continued a fine start to his season by netting three times for Belgium and Marcus Rashford scored twice for England, against Spain and Switzerland. Rashford has struggled for time on the pitch at United this season with Mourinho able to pick from a clutch of attacking options including Lukaku, Alexis Sanchez, Anthony Martial and Juan Mata. But the United boss will be spared the difficult decision of whether to play Rashford over the next few weeks, with the 20-year-old starting a three-game ban against Watford following a red card in the Burnley match. Mourinho could be also be without defender Luke Shaw, who suffered a nasty head injury in England's match against Spain on his return to the national side. Watford brushed aside Brighton, Burnley and Crystal Palace as they made a perfect start to the season. But their real statement of intent came in their come-from-behind win against Tottenham that enabled them to keep pace with Liverpool and Chelsea. Watford boss Javi Gracia, though, warned his side of under-estimating United. "Nowadays we talk about the coaches a lot more, but they have a great squad, many internationals, recently crowned champions of the world," said the Spaniard. "We've seen them in all the big international games and we know it is going to be a very difficult game. But we will try to compete in the same way we have done things in the last couple of games. "I think that as soon as we begin to think the next game is going to be easier for some reason, we are dead ... we will pay heavily for any sense of over-confidence against a team like United."